Leasing a Corvette Stingray is a good option for people who prefer to drive a new model each year but are looking for a lower price than that of purchasing a new one. While leasing is cheaper than buying, a Corvette Stingray lease may be a demanding process especially if someone is leasing a car for the first time. Usually, the process involves shopping around for the best deals, negotiating to get a good lease, and filing paperwork. Based on the challenges that most people encounter, we have decided to compile the following tips to help you secure a fair Corvette Stingray lease in the easiest way possible. The initial step before you start shopping for a fair deal is to make a detailed lease plan that outlines the duration of the Corvette Stingray lease and your desired mileage. Also, a lease plan outlines your budget constraints, the model you desire to drive, and how to cover yourself against costly repairs that might arise when the leased car gets involved in a crash or any other damage. The contract plan lets you secure a lease deal that fits into your budget and desired mileage. Some of the money-saving tactics you might consider when making a lease plan are to hire a Corvette Stingray for the period during which manufacturer’s warranty protects it and restrict your mileage to 12,000 miles a year. This safeguards you from investing more money in a car that you will only own for a short period. 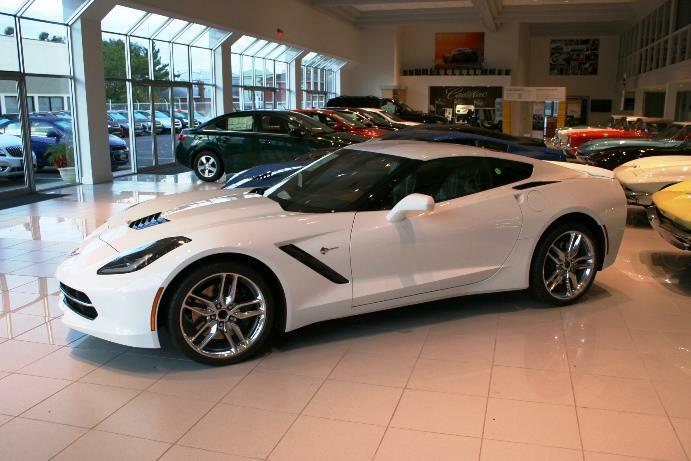 If you start shopping for a Corvette Stingray lease without a plan, you face the risk of hiring one that is above your budget, signing a contract that covers a lower mileage than you wanted, or even signing a lease deal that comes with additional costs. After making the detailed plan outlining what you want, move to the market and start shopping for the best deal that suits your budget. Get quotes from different Corvette Stingray lease companies and make a comparison. Make sure that you use constant parameters like mileage, down payment, and year’s lease when comparing the prices of different companies. While undertaking this research, you might want to check if the manufacturer offers discounted lease deals. One of the most convenient and cost effective ways that can help you secure an awesome deal is to use the internet. Unlike the traditional way of shopping, online shopping helps you get quotes from multiple dealerships within a short time. Furthermore, you do not have to waste your fuel driving from one dealership to another. Before you pick an attractive lease, experts recommend that you read through the lease offer to ascertain that the mileage, monthly payment, and the type of car aligns to the specifications of your lease plan. As a rule, only consider Corvette Stingray lease deals from reputable dealerships. Such dealerships will be known for their dedication to giving their clients a peace of mind during the lease period. Therefore, after getting a car leasing company that offers a reasonable deal, you need to do an in-depth research to ascertain that it is trustworthy, legitimate, and reputable. Reliable companies have a good rating in trusted customer review sites like Yelp and Better Business Bureau. The review sites rank companies based on their customer satisfaction score. As such, a higher rating signifies that a dealership offers a reputable service. Dealerships with a low rating may provide a lease deal that has hidden fees that will make you spend more than you had planned. Avoid such dealerships even if their deals seem attractive. Besides reading the reviews, make sure to also contact the dealership and ask them everything you would like know about their operations. All legitimate companies will give you straightforward answers that will help you make a sound leasing decision. If you find that your dealership is legitimate and trustworthy, move on to negotiate for a good Corvette Stingray lease deal. This is because most of the dealerships quote a slightly higher price on the first quotes. For this reason, bargaining would be the best option if you want to beat that price. You can negotiate through phone, online, or you can go to the dealership for a one on one negotiation. During the bargain, make sure that you are bargaining for a lease that matches your initial plan to avoid confusion. Some dealerships may give you a cheap deal by reducing your annual mileage or by increasing the down payment. Ask the dealership to give you a worksheet that shows all details concerning the lease. Negotiate with three or more dealerships and settle with the one that offers the most competitive price. After getting a fair Corvette Stingray lease deal, get prepared with all the paperwork that is involved in completing the deal. One mistake that people commit is to sign a contract that they have not read through. In this way, you can sign a lease contract that does not match your lease plan or that which you have been negotiating. The best way you can avoid such deceptive contracts is to read through the contract forms and make sure that you understand everything. Ask your salesperson to clarify any clause that you do not understand. Despite the fact that reading and understanding your contract may consume time, it saves you from signing contracts that have hidden charges that could dent the comfort you desired of enjoying a ride in a Corvette Stingray. As such, making sure you understand a contract before signing it helps you secure the exact deal that you wanted. The tips above serve as a guide to help you obtain the exact car model you want at the best price. When leasing a Corvette Stingray for the first time, you are more likely to spend more on a deal than if you are a returning customer. To avoid such a scenario, it’s important to furnish yourself with the basic issues that you’re likely to face when looking for a lease. If you liked this article’s information, please comment below.